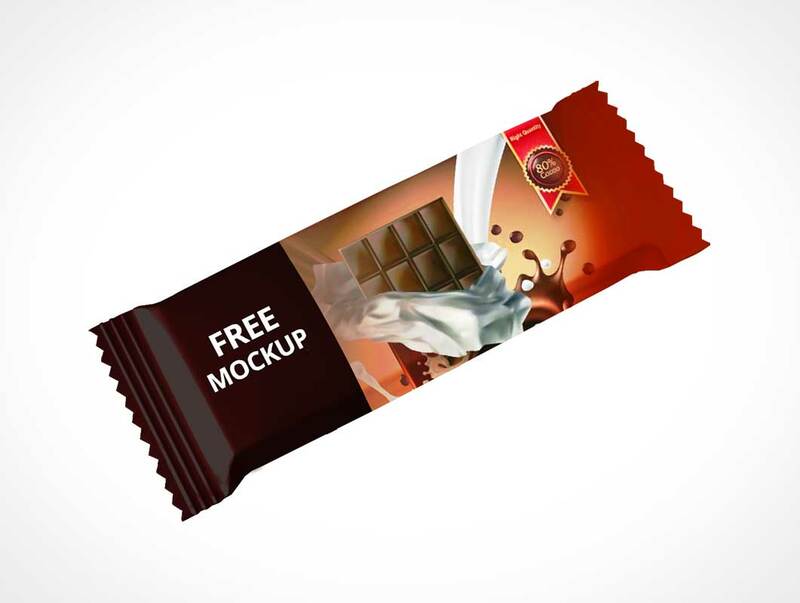 Download Chocolate Snack Bar Mockup PSD. 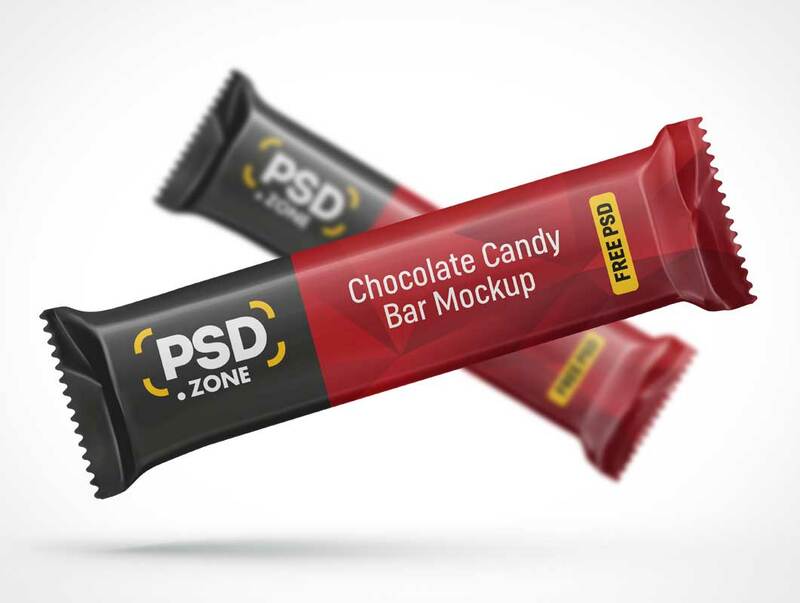 This is a Free Snack Bar Mockup for the people who want to showcase their product packaging design and work in photorealistic manner. 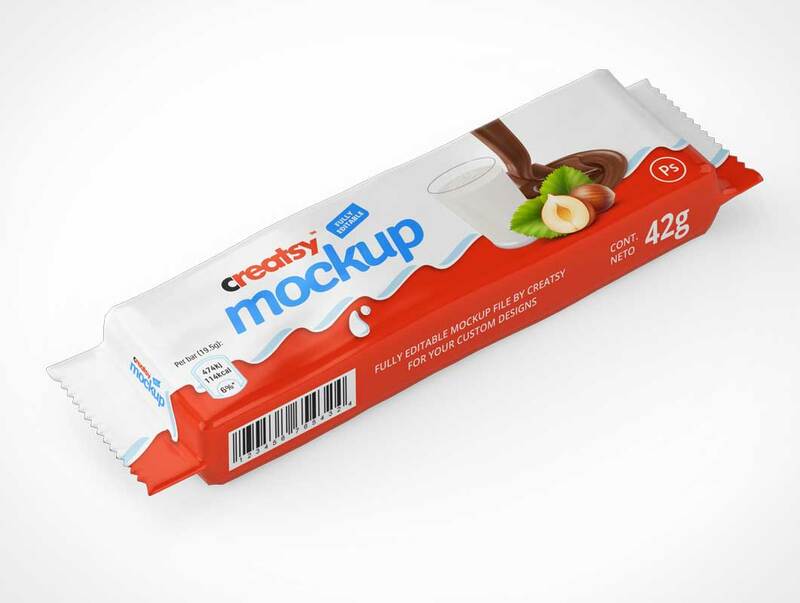 The Chocolate Snack Bar Mockup PSD is fully layered and well organized for easy customization. This free Mockup template includes a special layer for your design which makes it Easy to Change and Customize snack bar label using smart Object. The texture perfectly represents thin foil package and will gladly welcome any experiment you or your client wish: bring a new look to well-loved Snickers design or make an extraordinary presentation of your graphics project (patterns, textures, illustrations, logos — you’re free to choose! ).